I’ve been following Andrew Batey’s work since the eighties and admire the clarity and elegance of his work. 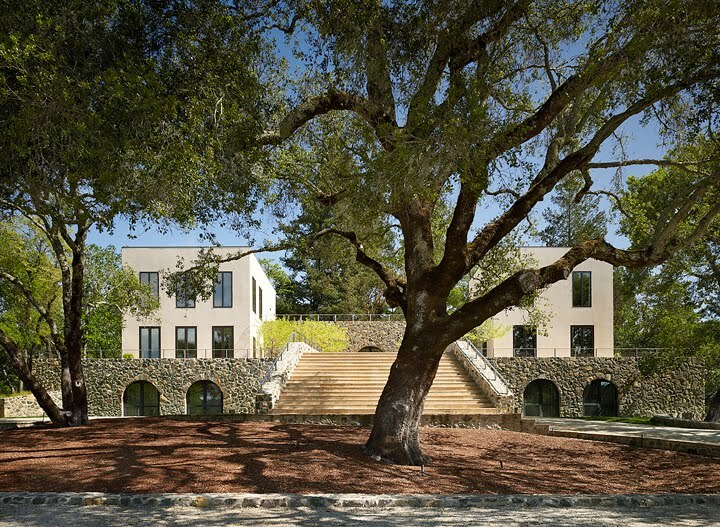 Three bold custom-designed new residences in Northern California signal this fine classical architect’s mastery of wine country architecture. Each project delineates the boldness and refinement of his classical manifesto. Let’s take a look at his new work and go inside his head to see what makes him tick. 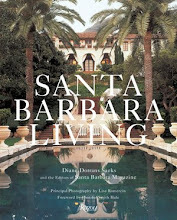 When I first met Andrew Batey, I was delighted to discover that at a time when Modernism was rampant, he revered Palladio, admired California vernacular architecture, and loved classicism in all its historical beauty. 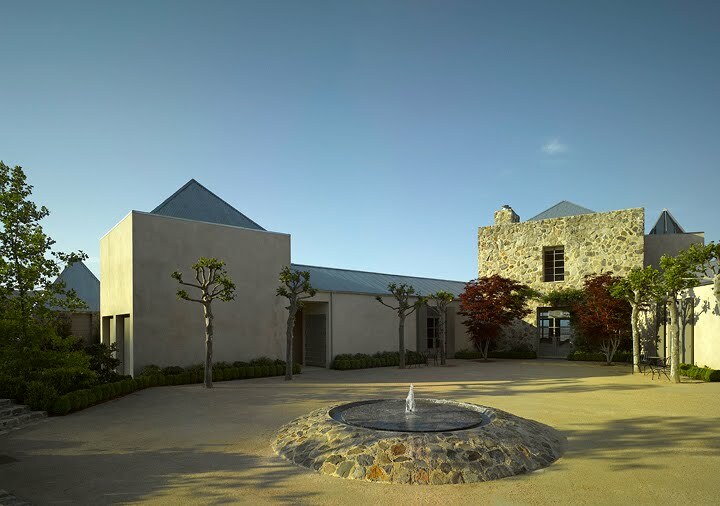 Inspired by centuries of European classical rural architecture, Andrew Batey’s buildings signal a bold new direction for California country living. 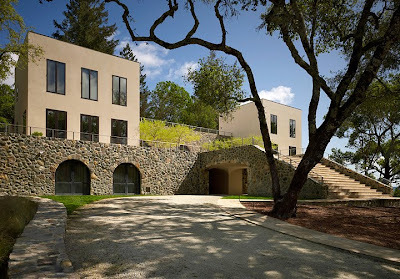 His recently completed works include a family house for Lisa and Charlie Palmer among vineyards in Healdsburg, a light-filled hillside house overlooking Lake Hennessy for a couple and their beloved Portuguese Water Dogs, and in St. Helena, a dramatic Corsican-stone residence and pool with a tower for a couple from Seattle. With 37 houses completed over the last three decades, most of them around the Napa Valley, Batey is now creating some of the most striking and original classical residences. Pure, expressive, and often monumental but without pretense and not a trace of nostalgia, they are at one with the sun-struck landscape. 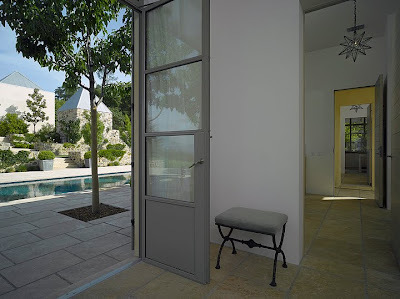 Interiors flow with an inevitable and graceful logic from the front entrance to the calm, unfussy rooms, and to the terraces and pools, beyond. Andrew Batey’s architectural inspirations: eighteenth-century French military fortresses, Arne Jacobsen’s minimalism, the Campidoglio in Rome. Batey’s world of ideas encompasses Palladio’s country villas, classical music, the late eighteenth-century neoclassical Haga Pavilion in Stockholm, austere Cistercian monasteries, and English modernist architect David Chipperfield. 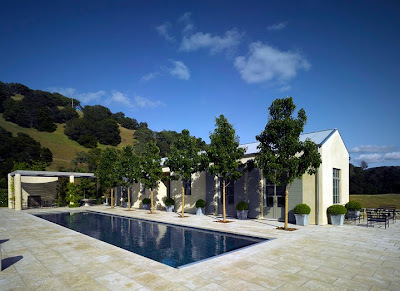 What: A compound of residence, guesthouse, and pool house with views to the Napa Valley beyond. 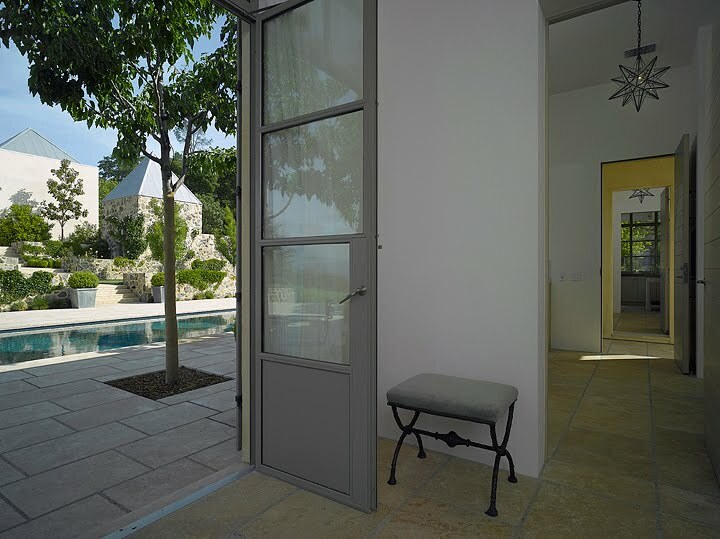 Inspiration: An 18th-century Corsican country villa. The stone for the walls was imported from Villa Murtolli in central Corsica. 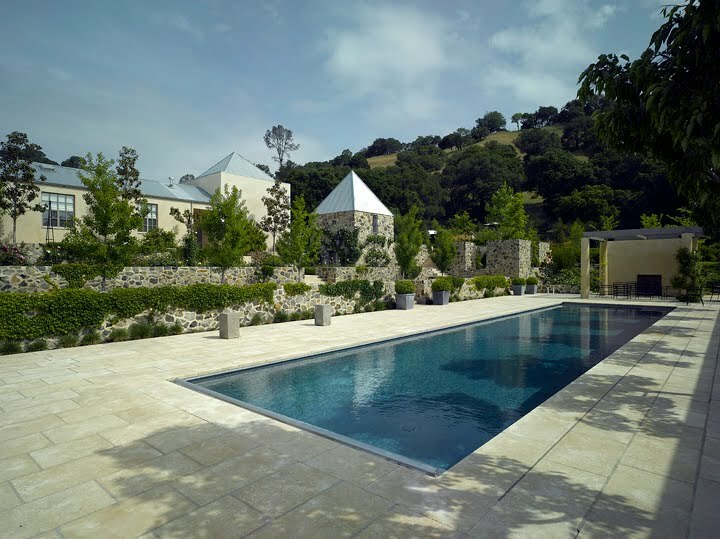 California wine country houses are now looking to the classical past for inspiration. One style-setter is Palladio, the sixteenth-century architect of Veneto villas who was so admired by Thomas Jefferson that he copied Palladio’s work for his own country villa, Monticello. 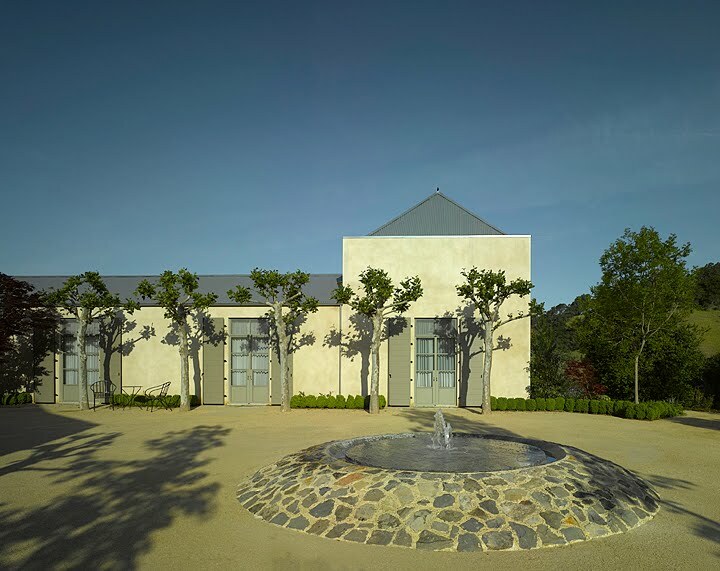 While the highly admired Napa Valley architect Howard Backen has achieved almost saint-like status with his focus on California agricultural vernacular traditions, and San Francisco-based architect Stanley Saittowitz continues to express contemporary ideals and experiment with pure modernisn in the sun-struck landscape, it is architect Andrew Batey who is now suggesting a next path forward. Where: A hillside overlooking the northern California town of Healdsburg. Inspiration: Early 20th-century country houses by Adolf Loos, a forerunner of rationalism and modernism. 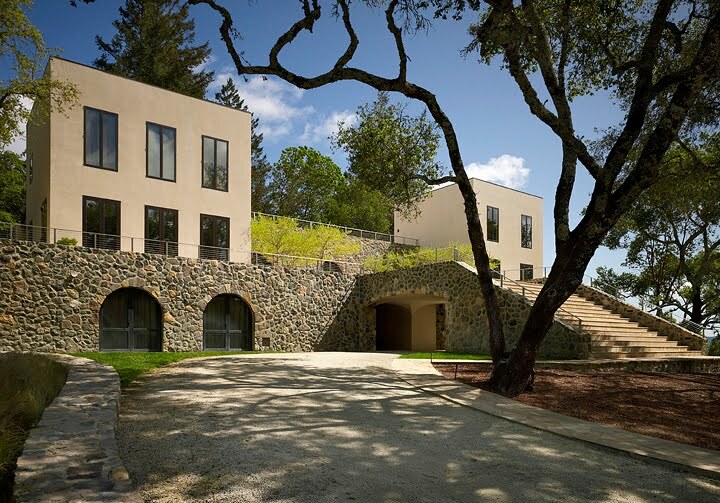 With this Healdsburg house, inspired by both Italian rustic architecture and Adolf Loos, Batey appears to have added a modern structure on ancient stone foundations. 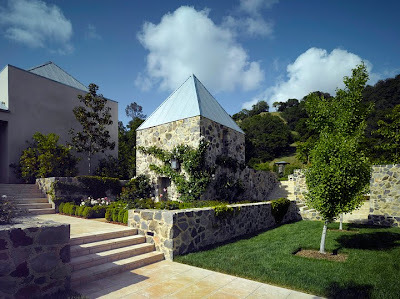 “In 1979, when I built my first house in the Napa Valley, garish postmodern architecture was at its height and I was completely against that artificiality,” recalled Batey. He dreamed of the purposeful lines of Palladio’s churches and villas, all timeless odes to Greek temples of the ancient past. “The Greek temple is the purest expression and I even designed a folly based on that form, with linen curtains billowing in the summer breeze,” he said. 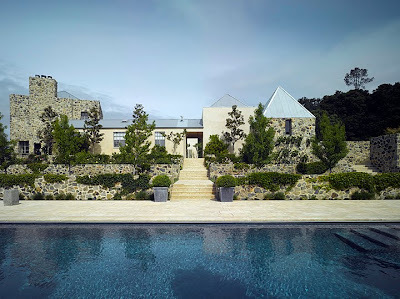 In the eighties, Batey dreamed up a series of highly individual family houses, experimenting with his love of local stone for solid walls, limestone walls, stone floors, and expansive rooms. 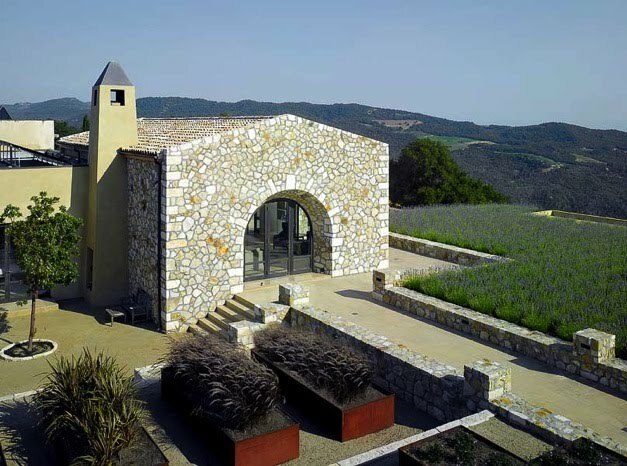 His signature: a sense of a solid attachment to and respect for the surrounding hills, vineyards, and rocky outcrops. He favors stone from century-old quarries in the region, surrounds houses with broad shaded terraces for year-round living, and throws up massive doors and large windows to embrace views. Batey, who grew up in Central California, began his own post-college Grand Tour in the mid-sixties by taking a comprehensive tour of Europe encompassing Russia, Eastern Europe, Scandinavia and central Europe. His studies at Occidental College culminated in a two-year fellowship and degree in the history of art at Oxford University and then on to Cambridge University for three years to study architecture. He made extended forays into the French countryside to scope out ancient abbeys and to trace ruined fortresses. He journeyed into Italy’s Veneto region to trudge from one Palladian villa to the next. The purity and elegance of these time-tested buildings became his mission. “To truly understand the scope and power and beauty of classical architecture, architects should take a version of the Grand Tour of the great classical architecture of Europe, and I did it,” said Andrew Batey. 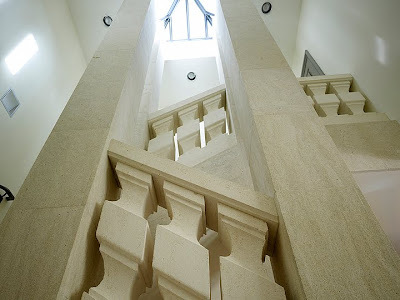 This sharp and rich learning curve in the history of architecture must be experienced close up to understand the elements of classicism, the substance of buildings, their purity, dignity, and restraint. 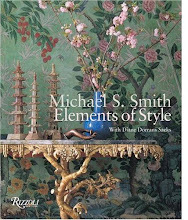 He was drawn to the understatement of world heritage buildings, and the lucidity, beauty and power he discerned in old houses, places of worship, fortifications, and interior design. Style: Robust and classic, with a massive two-story stone citadel at its heart. Bedroom wings radiate out beyond a central courtyard. New guesthouse and pool house and pool. 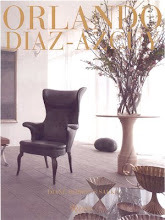 Interiors: Designed by Orlando Diaz-Azcuy Design Associates. In between studies he traipsed to obscure French Cistercian monasteries, still considered some of the most beautiful and elegant structures in the world, and to visit great English country houses inspired by Palladio. “I continue to visit France and Italy and England on architectural research, and to be reminded of the highest ideals of architecture throughout the centuries,” he told me. His first job, post-college, was at the London office of leading architect Norman Foster’s office, which offered practical formal office training and important lessons in minimal modernism. On his return to California, Batey headed to Mexico City to study the work of Luis Barragan, the great Mexican architect. “Barragan is the modern classicist who includes history, color, nature, and pure modernism in all his houses,” said Batey. His Barragan year completed, he returned to the Napa Valley in 1979, took a partner (architect Mark Mack) and began building houses in the Napa Valley. Batey, swimming against the tide, looked to Greek temples, rough-hewn Corsican country houses, and Palladio (Palladio had himself looked to Greek temples. 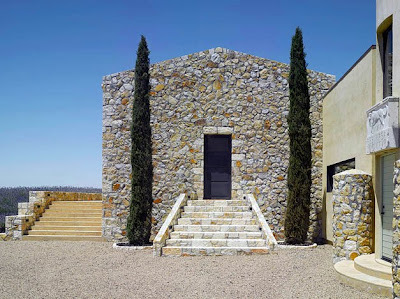 Obsessed with symmetry and simplicity, without cliché villa décor, Mack and Batey were labeled ‘Fundamentalist Classicists’ in architecture circles in the seventies and eighties. Today, Batey, a one-man office (Mack teaches and practices in Southern California) and continues to be in demand. 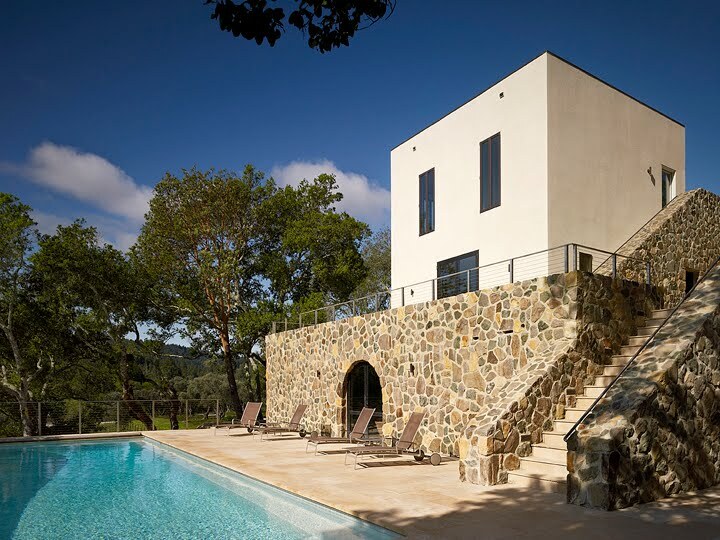 The houses he designs, full of optimism and life, fulfill his classical ideal but feel totally contemporary. 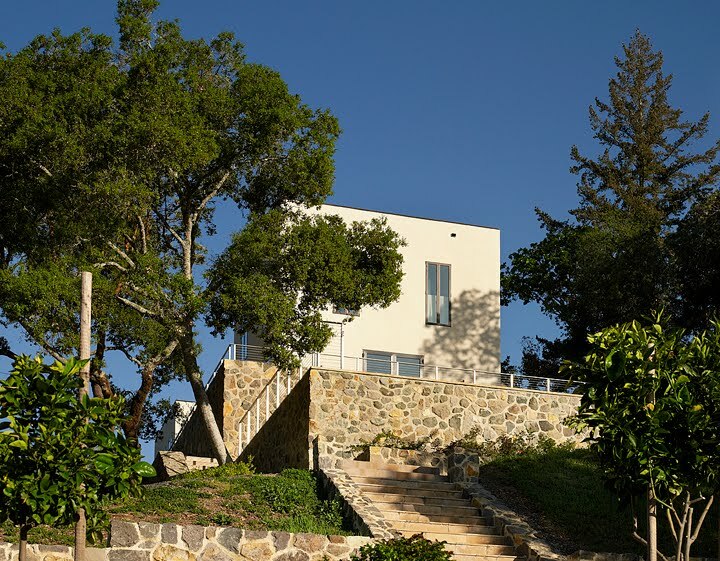 With their faultless sense of restraint and proportion, these houses are in it for the long haul. 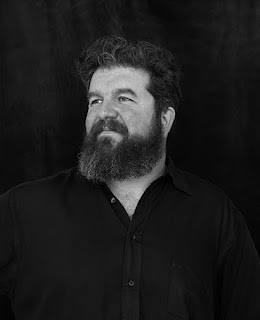 All photographs here, including the portrait of Andrew Batey and the self-portrait of the photographer, are by Napa Valley photographer, Adrian Gregorutti. Used with express permission. 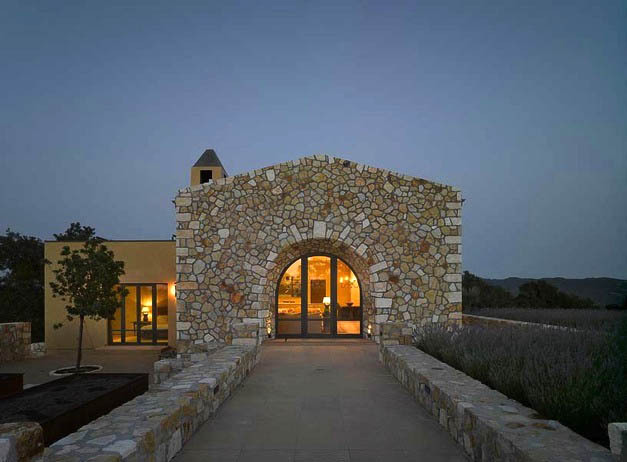 Photographer Adrian Gregorutti lives in the Napa Valley, and his distinctive and dramatic photography of wineries, residences and antique barns have captured attention of connoisseurs and clients. Artist statement: "I was born in Argentina of Italian descent. I moved to Europe in my twenties. After meeting an American girl, I moved to the US. 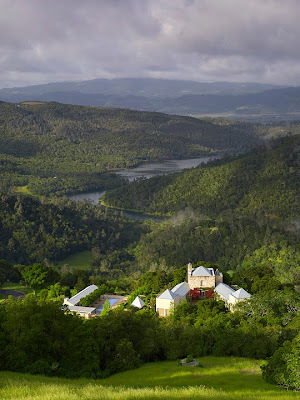 Since 1995, I have been living in the Napa Valley with my wife, Sylvia, (the American girl), a linguist teaching Spanish and Italian at a private college here in the valley, and my daughter, Nina, 5. 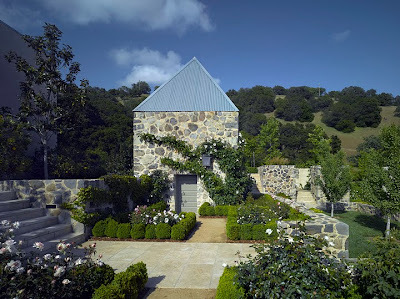 Besides architectural photography, I also photograph for the wine industry. From August 6 through October 31 of this year, the Napa Valley Museum will show some of my architectural work in the exhibition titled "Art & Wine, the Expression of an Industry". I also love languages, traveling, food, and, of course, wine." I am crazy about the Niemann house. It is stunning with it's clean, simple lines mixed of incredible stonework...I absolutely love it. Some of his work reminds me of the designs of Texas modernists that I am drawn to. Thank you for the exposure to such talent. HI ANNE- Lovely to hear from you. I agree with you that the Neimann house is particularly successful. It is on a dramatic site, certainly, and the array of buildings and pool and terraces is particularly attractive and pleasing. Batey understands site, materials, dimensions and appropriateness--so the houses he designs 'fit' into the site, whatever it might be. These 3 sites are particularly desirable. Caliornia wine country. You are right...his work would look at home in Texas. What beautiful work! 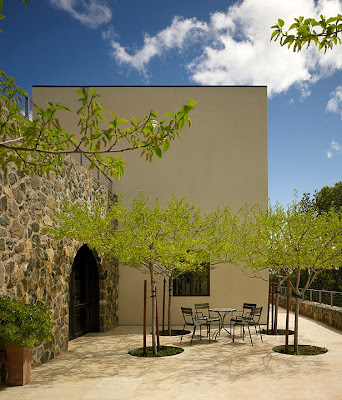 I love the juxtaposed rock walls with the smooth walls, and the omission of ornamentation and simplicity which makes a clear reference to the monastery influences. Such beautiful images. thank you for the introduction. i've been so out of touch this summer and have missed the world of blog. hope you are well. HI TERRI--I love your observations. You are right that Andrew pares down the lines and proportions and the frippery. It is pure. When you visit Cistercian monasteries and forts and farm buildings--especially in the South of France and Sardinia and Corsica--you see these same uncompromising pared-down lines, stone, and angles and symmetry. It is especially refreshing in the Napa Valley where faux 'Tuscan villa' style was rampant, and often so ornamented it looked nothing like Italy. HI GWEN----Glad to hear from you. 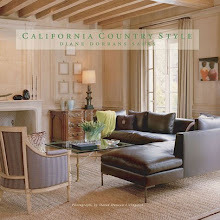 I am really pleased to introduce California architects and designers to everyone. 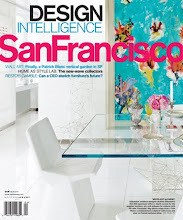 Some designers here have been published quite a lot (like Steve Shubel) but residential architects are less known. I hope this feature results in Andrew getting lots of great clients--and better known to the world. His thinking is inspiring and provocative. Makes me want to take off on another Grand Tour of all the great architecture. I've seen most of it..but could always delve back in. How worthwhile and rewarding. 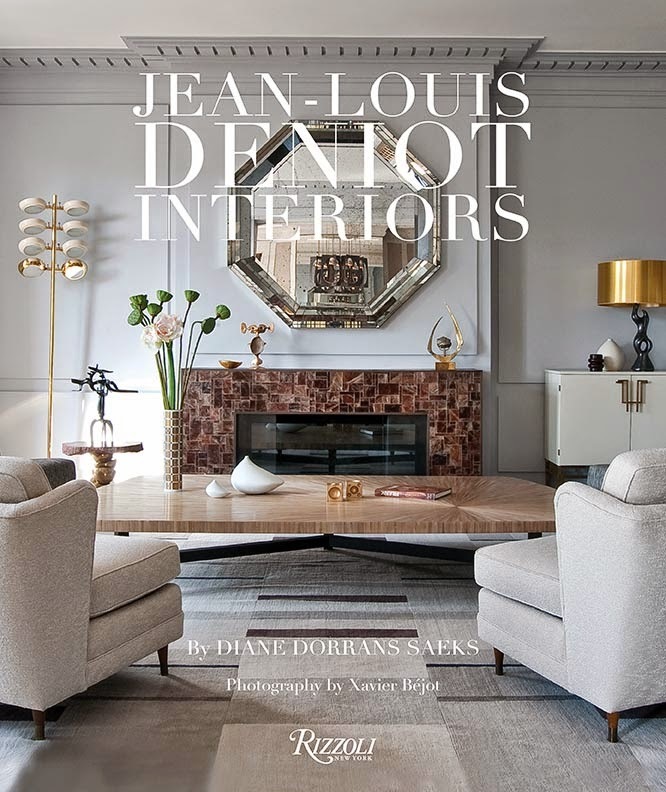 Diane thank you so much for sharing the works of this amazing architect. 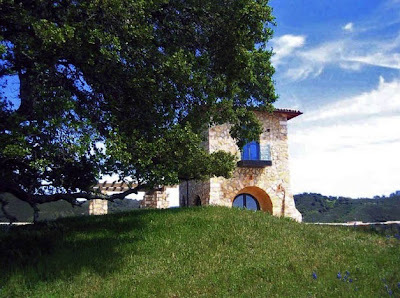 Fabulous homes that do ineed take in the surroundings and natural elements! My dear, while I was looking at the images and reading your words - the simplicity and purity of his design came into my mind. Sometimes we often feel like we have just had it enough with the pace of life in the urban life. We need somewhere to nourish our soul and find spirituality not only in churches but also in our immediate surrounding. I inspire the monastic way of living. 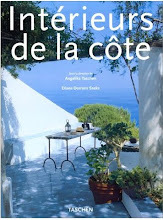 I've been reading a book by the philosopher, Alain de Botton called "The Architecture of Happiness". And I thought of you. Because it is what your blog and writing is about. Thank you for taking the time to send comments. I love them and so appreciate your insights. 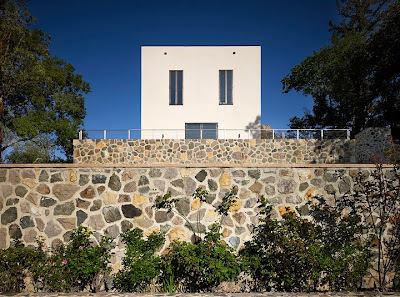 HI KARENA-Yes, you are right that Andrew Batey is sensitive to the site, the location, the terroir--and sits the house into it rather than imposing it like a giant on the landscape. In many ways, his houses, when new, look as if they have been there for many years and have lived a rich life. HI ASD--Dear Floppy-Yes, I agree about de Botton. 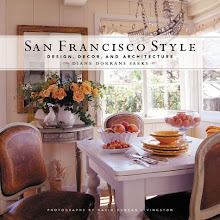 I have a signed copy of this book and love to read about his wanders through the ages of architecture. You are correct that these 3 houses by Batey have a pared-down and unpretentious and somewhat low-key and monastic look. 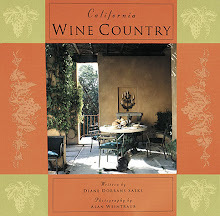 In person, they exude the sun and light and fresh air and brightness of the Napa Valley and Northern California. 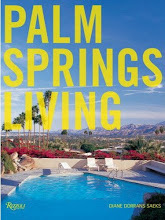 Summers the doors are open and life is lived outdoors or around the pool in the afternoon. Note that each of these houses has a pool--parties and entertaining and guests are a happy part of the summer. I love to see them in the late afternoon--bliss. Andrew brings his 3 decades of experience. Important point: while each house is strict and pure, each is totally different. There is no 'theme' design or 'signature' here. HI MARY--Thank you. Yes, I think architecture does have a responsibility to make people's lives better! Education can be part of architecture. That does not preclude comfort, pleasure and joy, really. I know each of these 3 families who live in these houses love them...and have learned a lot. Visiting your blog is always surprising! I am always looking forward to read your new post! 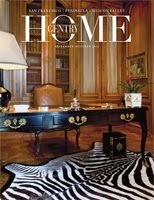 I love to be introduced to all these great architects and designers! Discovering the houses of Andrew Batey is a delight to me! I love these gorgeous houses! All of them! 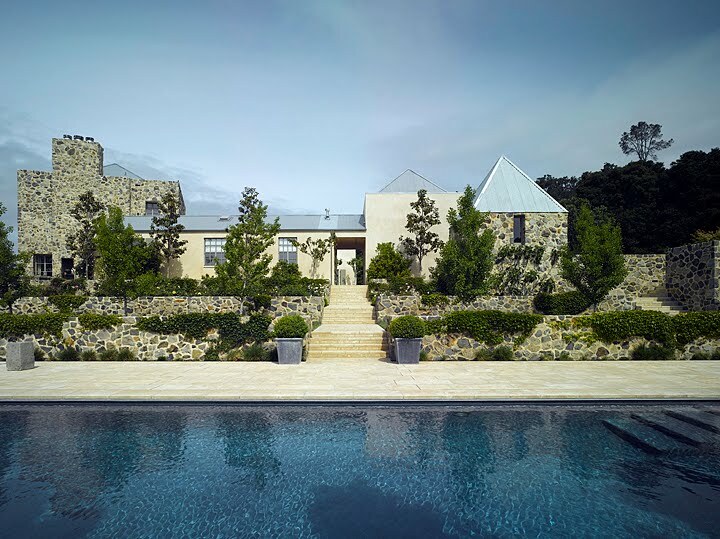 The work of architects and designers as Mr Andrew Batey and Mr Andrew Skurman, are such a source of inspiration to me! And I both discovered on your inspirational blog! Wow, just gorgeous. 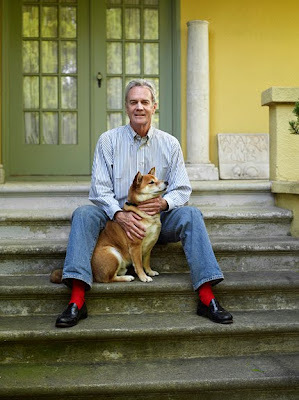 I wasn't even going to read your whole post because of those red socks, but so glad I did. Beautiful architecture! What a fascinating article and what a gifted architect. The purity and discipline of the designs is impressive. I particularly like the image of the garden steps and the pyramid capped garden pavilion. The exterior images left me wanting to see the interior. The architecture is restrained and discreet. 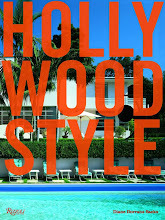 It doesn’t try to be a star attraction like so many bizarre buildings by the so called celebrity architects of today. 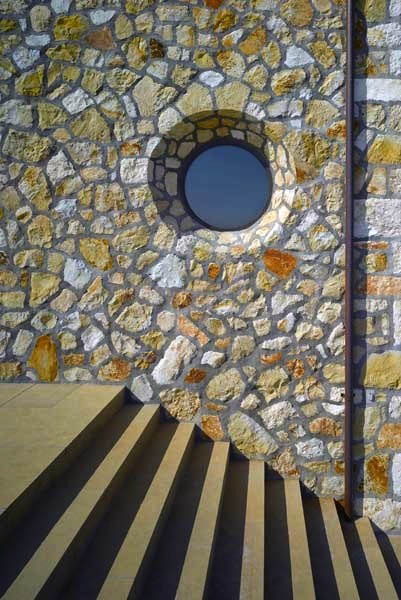 The texture and colour of the rustic stone areas prevent the building from looking too stark or minimalist. 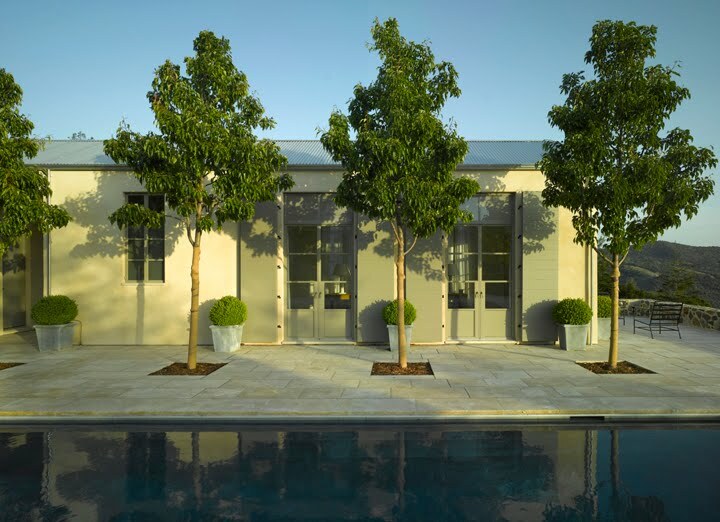 I am curious about the trees planted in a row between the pavilion and the pool. 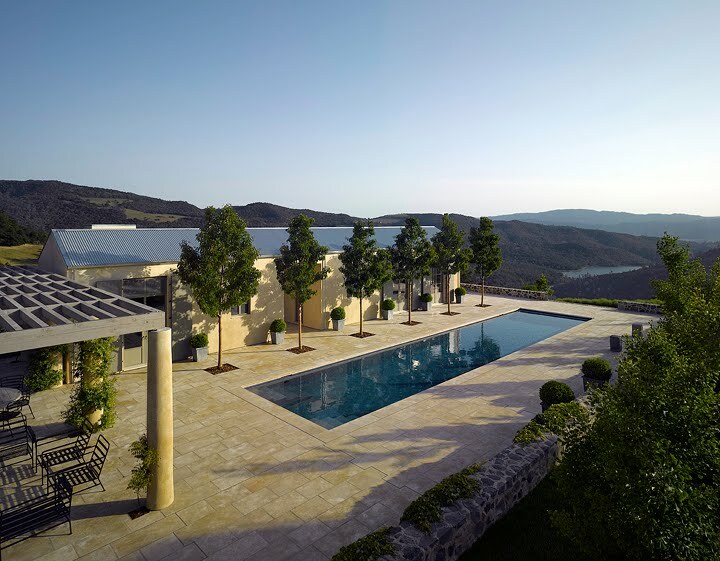 Unless these are small, slow growing trees, I would be concerned about them heaving the beautiful stone surface and also damaging the walls/ foundation of the pool. Perhaps part of maintenance will be to replace them with new, smaller ones every decade or so before there could be a problem. I think that maintenance and long term care are important aspects of building design that more architects need to give attention to. 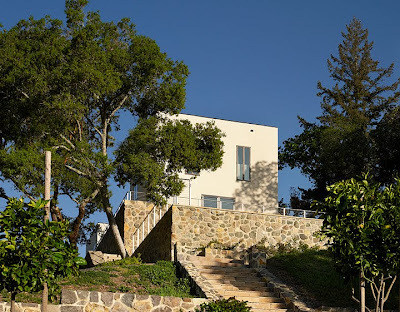 Many modern buildings are not of durable materials and they end up costing more to have cladding repaired or replaced than if something lasting like concrete or stone had been used, as in this residence. I am wondering what type of furniture and art would best suit such an interior. I can see Rothko and Twombly…works that are dreamy and serene. For furniture I see the plainest, generously scaled Italian, French, or Spanish country furniture, or mid century modern classics such as Breuer did. And of course some very large potted plants. I agree that it is important for architects, in fact any artists, to take the grand tour (preferably several throughout life) of Europe and be exposed to the classical and antique precedents. It gives one a feel for proportion and balance, and what is enduring, qualities often lacking in modern architecture. 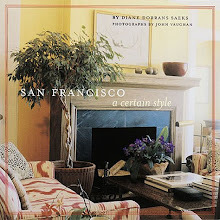 I think the décor, architecture, and gardens of David Hicks convey, in a similar way, this sense of experience and exposure to the best of the classical past, applied to how we live today. I would love to attend a mass or service in a chapel or church designed by Mr. Batey. I know I would leave feeling calm and spiritually refreshed. I have greatly enjoyed the post and being introduced to Mr. Batey’s superb work. Hi Greet--I love your blog, also. Thank you so much for your kind remarks. I agree with you that a blog must be about new ideas, new revelations. A blog must be about discovery. It has to show readers something they have not seen before in a magazine. It has to be more than just clippings from publications (some bloggers commit the sin of showing pictures without attribution or credits. Naughty). Greet--stay in touch. There will be many more 'discoveries' on this journey. I love the way you have grown your blog--and attracted a world-wide following. Hi Joan-So sorry the red socks upset your aesthetic soul. I've had a lot of comments from readers that they loved them because they were not the usual architects' classic black. I like his dog, too. Thanks...and I am so pleased you stuck with it. In a way, the interview is like a tutorial on how to be a good architect or designer--and how to train your eye away from gimmicks and trends and frou-frou. Hi Square with Flair! Thank you for insight and comment. I love to hear from my Canadian friends. I remarked lightly to a colleague, joking, that 'I am big in Canada' (I've have a lively discourse with Canadian readers from the start) and he said, 'well, no wonder. Canadians are very literate.' Well, that is correct. You are. I love your erudition here--and must tell Andrew to get working on a chapel or mediation hall. You are right that he would be brilliant. You were concerned about the trees. Don't forget that California is a desert! We have no rain between April and November! yes, true. Hard to believe...we have long sunny hot and dry summers. So these trees will not be lavish and will stay quite small. Note the lavender and grasses that were planted there also..for the warm dry weather. It is arid on that hilltop--and for the other two houses as well. Note that all three houses in this story are about 15 miles or so apart...and they share that hot dry summer, temperate winter, rains from around Dec-March only. 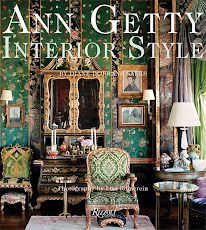 Do stay in touch--I loved your Annigoni post--interesting to see Mrs Bata's portrait. Thank you for your kind remarks regarding my post on Pietro Annigoni and Sonja Bata. That is a valued compliment. The interview was an interesting and memorable experience. I’ve noted some comments left on your blog about the length of your articles. I personally find so much being done that is too brief, insubstantial, and really not covering any new ground. It is because your articles have depth and new material that they are so enjoyable and worthwhile. I agree with your recent statement that a blog must offer something that is not found in a magazine. Apart from the quality and content of your posts, it is pleasant to read your courteous comments; this is encountered so rarely nowadays. A lot of what you write about has to do with making life better and living graciously. The way one responds to others during daily interaction is sometimes forgotten, and you've set an example of how much more pleasant conversation can be. How admirable and personal that you thoughtfully respond to comments by your readers. In doing so, a dialogue is created that enhances the article that much more. Any work of design or creativity becomes more interesting when one can see the impression it has left on others. I keep reviewing your posts on the Chateau de Haroué. Your clear observations and photos give an excellent overview, and I can experience the setting and exhibition that I would have loved to visit. 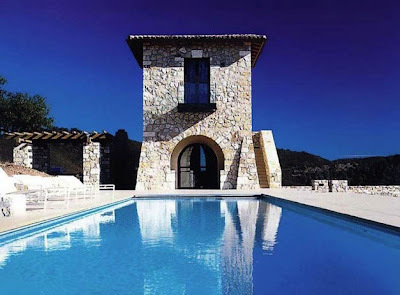 The pools are beautiful, as well as the white stove ~ so unusual. Great post Diane. 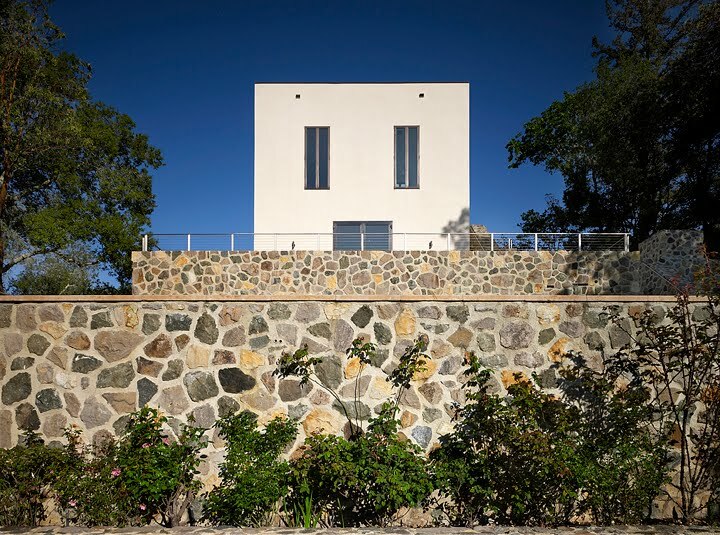 I admire Batey's architecture designs, especially his classical romantic houses made of rocks.